Register with Quidco if you aren’t already. 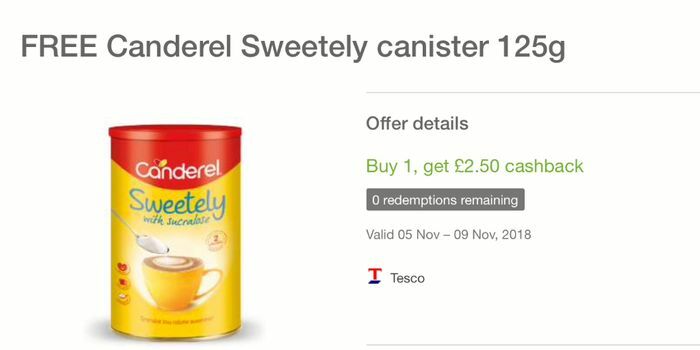 Buy a Candarel Sweetley 125g canister at Tesco and get cashback With Clicksnap. Best bit is they are giving £2.50 cashback and it only costs £1.50., or that is what it was in Stevenage today! Thanks for that. I use my supermarket to check prices but it wasn’t on there. natz265 sorry to hear that. We were lucky.